In Australia, Rick Poynor plays ‘hotel inspector’ to explore a bookshop that understands its books and readers: Sydney’s Published Art. After a morning chatting to two colleagues from the University of Technology in Sydney I decided to walk over to the Published Art bookshop on Mary Street in Surry Hills. My plan was to look for an interesting new Australian publication to review. I never found the right book, but as I stood there browsing it came to me that it was the place itself I ought to write about. Published Art was established in 1999 by Sharon Tredinnick. I first visited the shop in 2001 while undertaking some research for the University of Western Sydney, later published in Eye. The following year, I returned to the city to work on Eye’s special issue about Australian graphic design (Eye 46, see bit.ly/backissues). That edition was launched with a party at Published Art and I was asked to say a few words over the phone from the UK to the assembled revellers. There was no way I could return to Sydney without paying a visit to an institution that everyone recommends as the best place to check out design books. In presentational terms, Published Art is closer to the full-cover, precious-object display methods of Magma in London than to the traditional, library shelving style of Nijhof & Lee in Amsterdam, or the towering treasure piles of Le Comptoir des Images in Paris. The books luxuriate on metal-backed shelves leaning against the high walls on wooden struts; there are three principal sections: graphic design and art, photography and fashion, architecture and interiors. (I heard a complaint about the wall of architecture books before my visit, but this is the shop’s concept and the balance of subject areas is good.) Tredinnick doesn’t retain older titles, a regrettable though understandable commercial trend, aiming instead to keep the stock turning over as an enticement to drop by regularly. While I was there, she told a design student that a fresh delivery of books was imminent and a few minutes later she told me, too. I took the incognito ‘hotel inspector’ approach to avoid a guided tour and enjoy the pleasure of anonymous browsing. Tredinnick, who is clearly passionate and highly knowledgeable about books, came out regularly from behind the desk at the back to offer visitors guidance. When someone commended We Make Magazines (2009) to a friend, she drew attention to 100 Habits of Successful Publication Designers (2008). She enthused about the value of design monographs devoted to ‘classic’ designers (three cheers for that) and commended the reissue of Sagmeister’s Made You Look, confiding to the same student that she had kept the original version, which conjured a vision of a personal library appointed with books that had won the bookseller’s heart. I spent time combing through the different sections, hoping to find something I had either not seen before or couldn’t easily obtain at home. Among less obvious (though not obscure) titles, the shop had copies of Oded Ezer: The Typographer’s Guide to the Galaxy, Morteza Momayez: Graphic Design, Photography, Painting 1957-2005 and The transformer: principles of making Isotype charts by Marie Neurath and Robin Kinross [to be reviewed in the next Eye, ed.]. It was heartening to see Eye and a few other distinctive design magazines mixed in with the latest books. 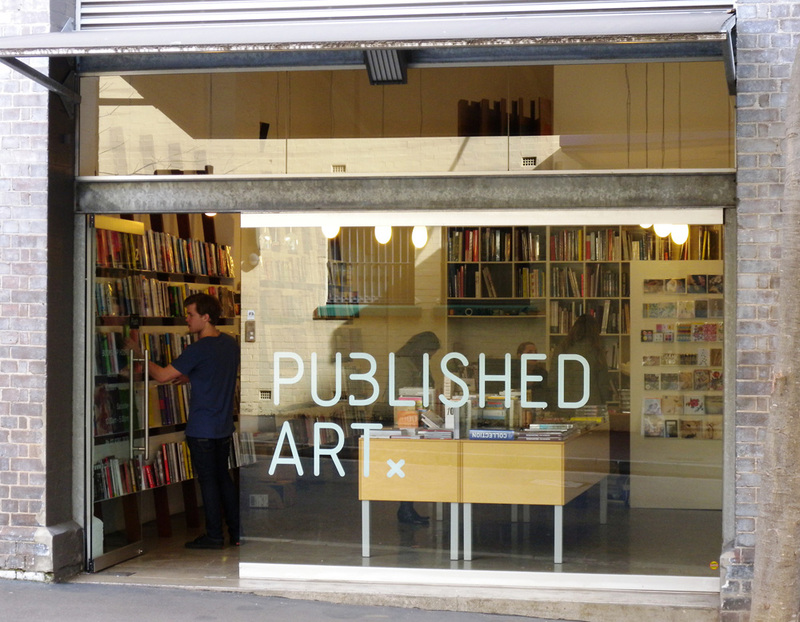 Defiantly independent shops like Published Art (such a good name) provide a vital outlet for specialist publishers, particularly for magazines. A thriving bookshop that cares about what it supplies is part of the culture of the discipline, and at lunchtime on a Tuesday, in a neighbourhood with a nice mixture of cafés, furniture showrooms and elegantly ramshackle houses with wrought-iron balconies and corrugated roofs, Published Art was attracting a steady trade. For students of visual subjects at UTS, it is just a short walk away. Leaving without buying something just wasn’t an option. I was sorely tempted by Errata Editions’ ‘Books on Books’ reproduction of every page from Walker Evans’ American Photographs, but I had seen it already and assumed it would be cheaper in the UK (Australian prices are high for imported books). A title I hadn’t come across before was Ant Farm (Éditions HYX), which accompanied ‘Ant Farm Redux’, a 2007 exhibition about the American experimental architects who created the famous Cadillac Ranch (1974). An unfamiliar volume dealing with a subject not already represented on my shelves: mission accomplished. Sensing an interest in sculpture, the canny proprietor let me know that a new James Turrell monograph was on the way. It was time to get out of there before I inflicted any more damage on my budget. See all Rick Poynor’s Critiques at http://bit.ly/EyeCritiques.